i would get some PlusGas and get it sprayed one the adjusters on trumpet. you will need to remove the rebound rubber to let the arm drop fully. spanners of the right size and you could be lucky and not need to compress the rubber dounut. If I can suggest, there's a few more items that need doing that I can see;- the Bump Stop has gone and the Rebound Stop looks really dead too. Apart from these, I'd suggest from the general appearance of it all, to replace all the Rubbers. 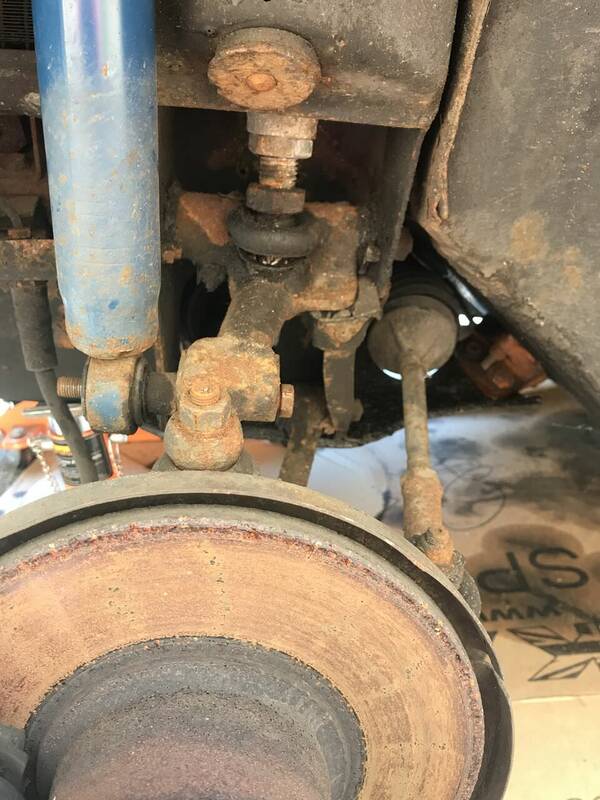 Thanks guys , where is the bump stop located ? Has mine disintegrated so bad that I can’t see it ? Cv inner and outer boots and a pair of knuckle joints. want to make sure I can get all the bits that need doing, I know I prob sound like a beginner here but if I know what it is that needs replacing and I can buy it and replace it myself. Beware the M6 at Knutsford-it tore off one of mine. What size spanner do I need to release the nut above the rubber please ? 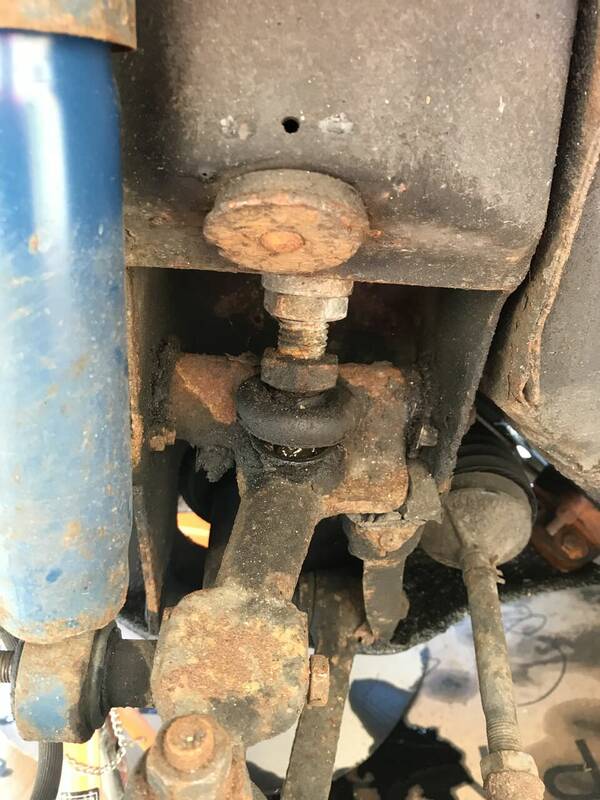 You may need two spanners, one to hold the nut above the rubber which is fixed to the thread while the other loosens the nut below the trumpet, which you then undo all the way down to the bottom nut. Then, turning the bottom nut, screw the whole lot up into a trumpet. Get as much of that rust and crud out of the threads as you can before you start. I suggest wrapping oiled string round the threads and pulling it backwards and forwards. I don't know the size of the nuts, but they look to be about 22 mm at a guess. Edited by DeadSquare, 14 August 2018 - 12:00 PM. Thanks for your help , much needs info there ! I checked the nut size with an adjustable spanner and it’s 32mm, now gotta wait for my spanner to arrive, I have so many tools but never the one I need !